​The Flexability to create your own Back yard Paridise! 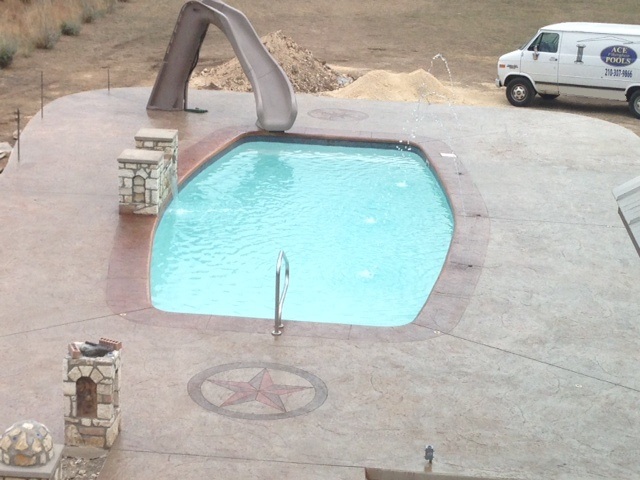 STARTING @ $29,660 READY TO SWIM! "If you Pay in $CASH$ Deal"
with optional Seating Area and Granite Table Top! 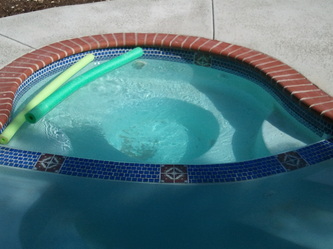 This Pool is known as the Daddy of them all! 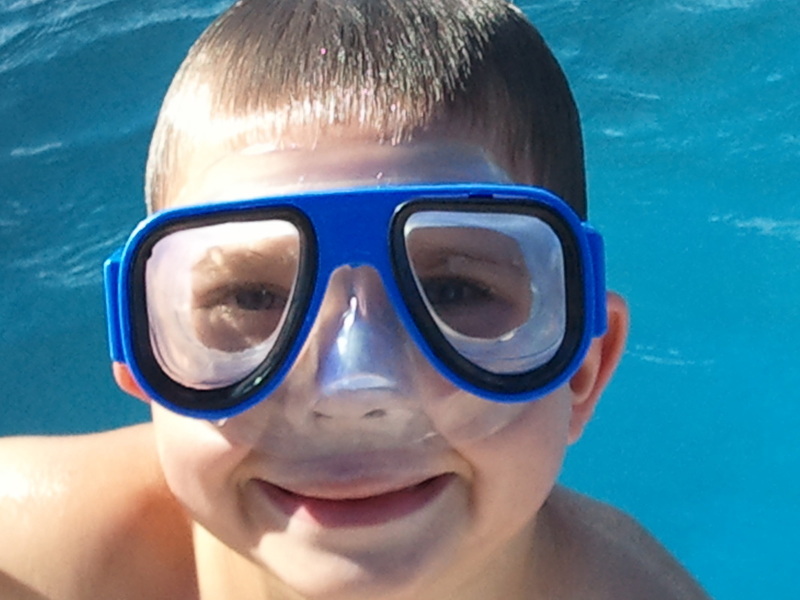 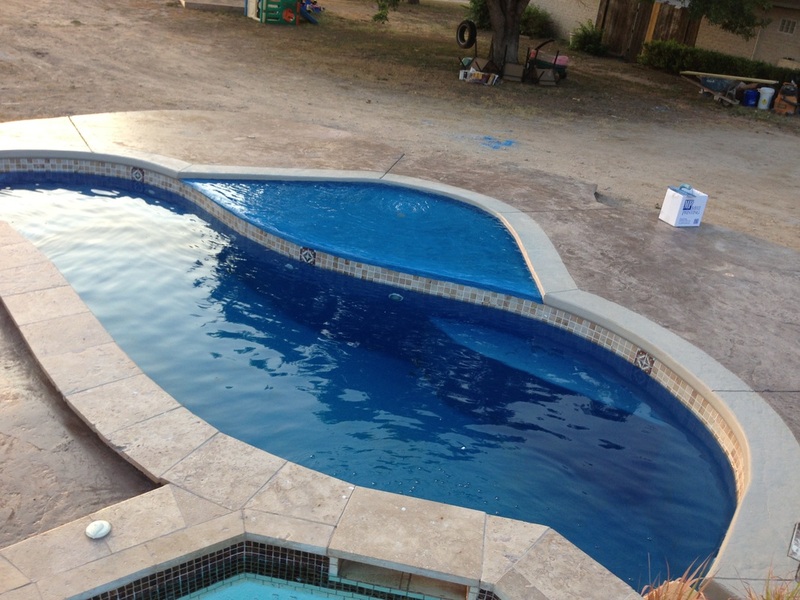 "Call me personally for a free estimate on your complete pool project!" 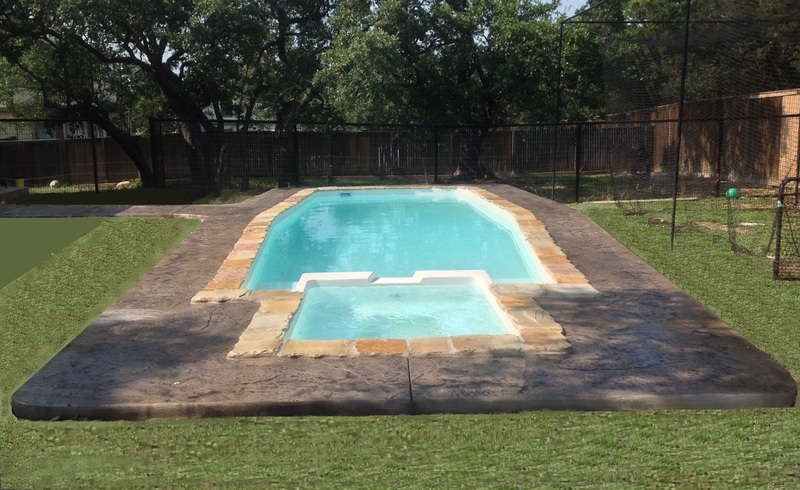 Let one of our skilled staff with years of experience help you with your back yard planning. 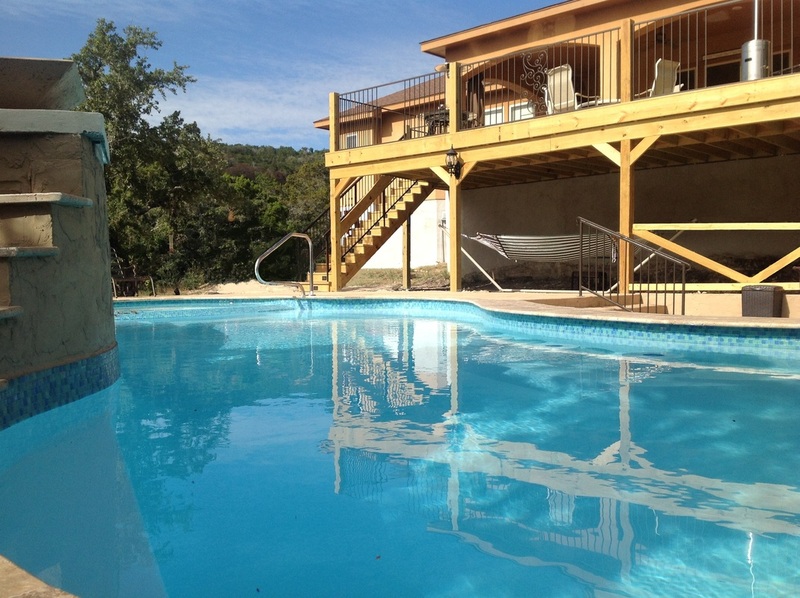 Start making great memories with a new pool in your back yard TODAY! 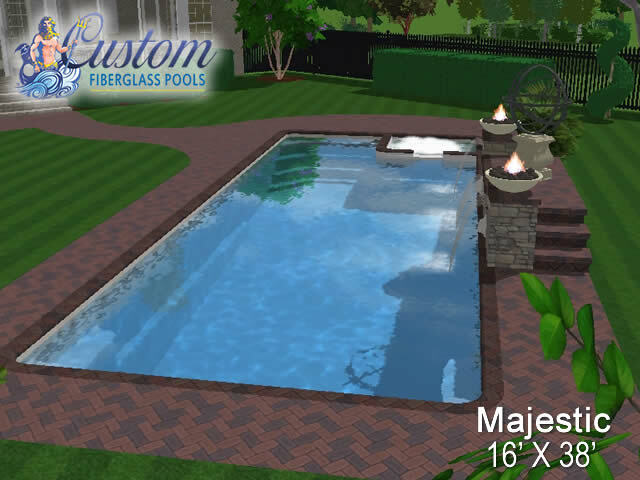 NOW YOU have the luxury of Fiberglass! 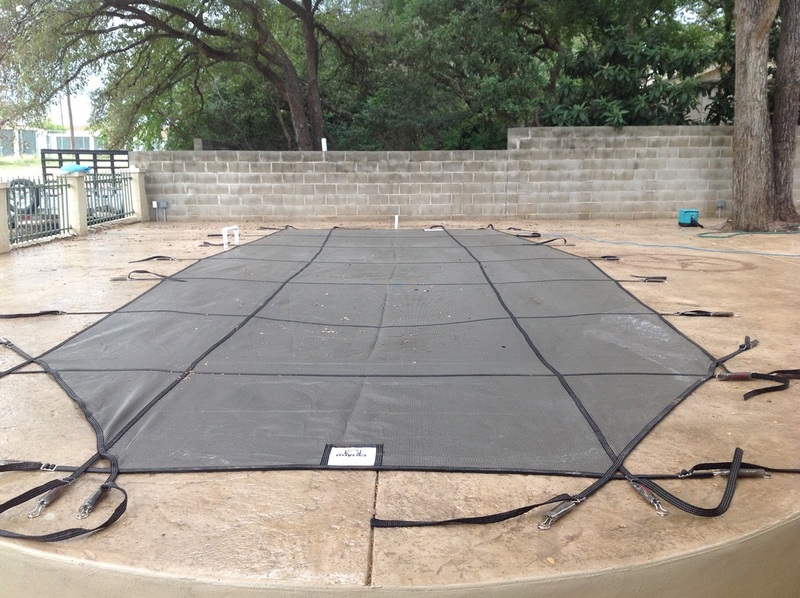 This is the newest Spa and Tanning deck set up in Years! In collaboration with The Singing Princess of San Antonio. 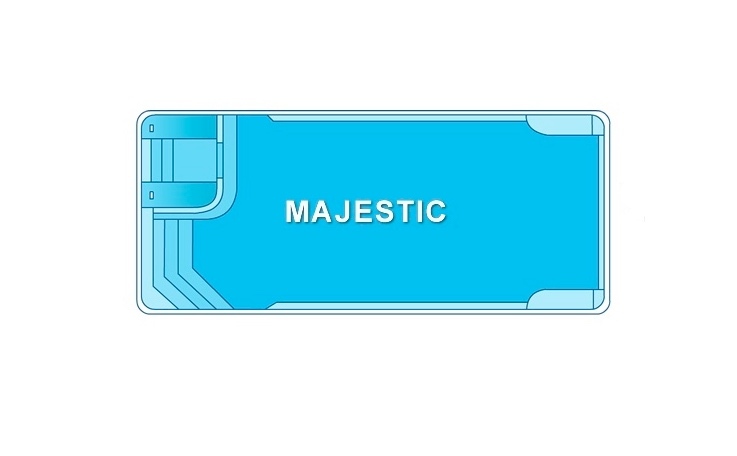 THE "HAWAIIAN" AND THE "MAJESTIC"
Come Visit our New ACE Fiberglass Po﻿ols LLC. We are offering pre-construction discounts! 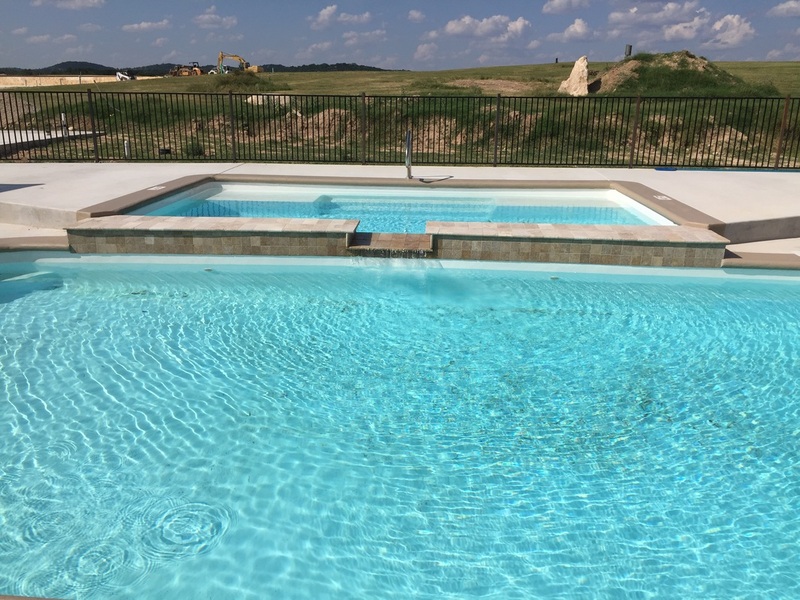 If you are in the process of buying a new home under construction or building from scratch, now is the time to contact us to save! 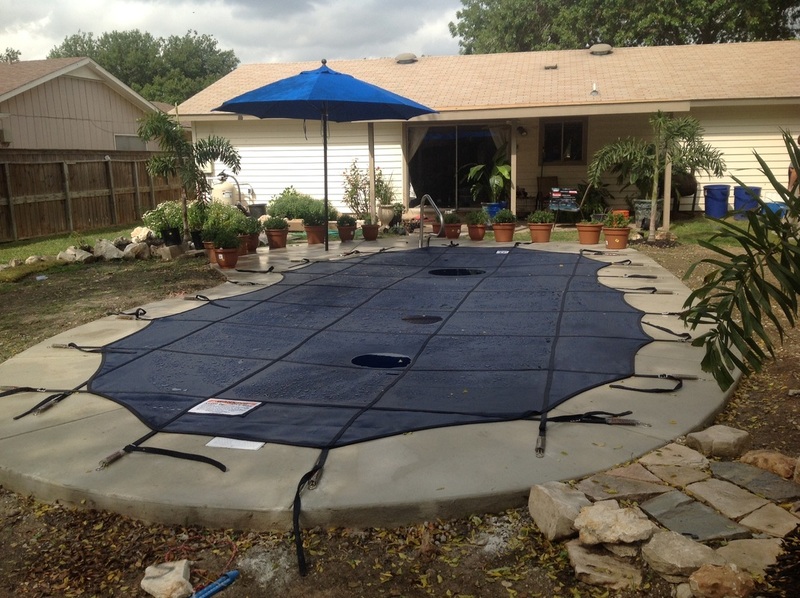 Call one of our trained sales staff for details and to help you through the process today! Fiberglass Pools have become the "Smart in-ground pool" with infinite beauty and construction that outlasts all other pools on the market! 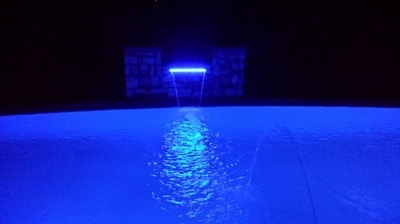 Thanks for visiting A.C.E. 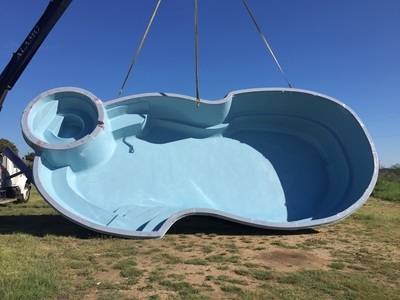 Fiberglass pools. We are a family owned and operated company now serving the greater San Antonio area and beyond. manufactures countrywide. 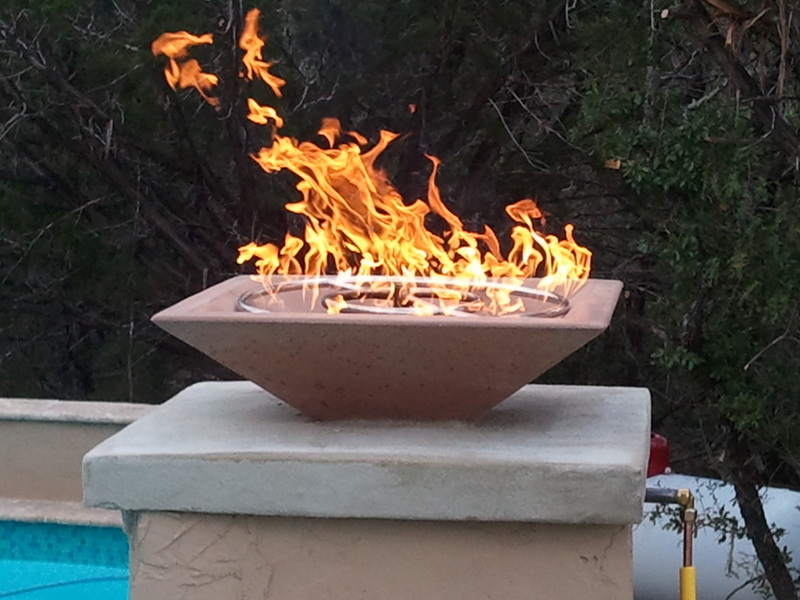 We have installed them from Pennsylvania to Texas. 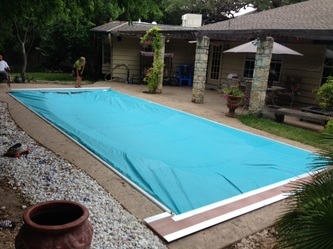 We have now opened and taken root right here in San Antonio and decided to become our own sales staff. 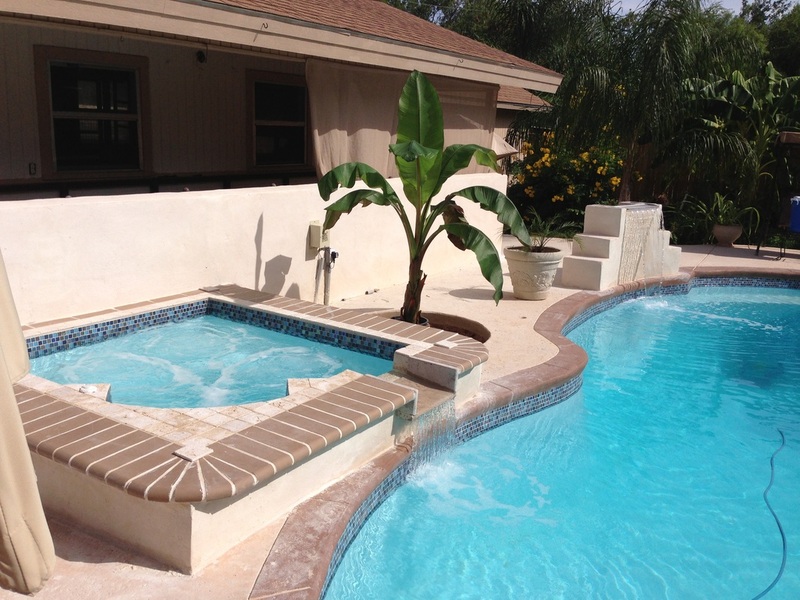 We will be with you every step of the way from designing your backyard paradise to financing options. 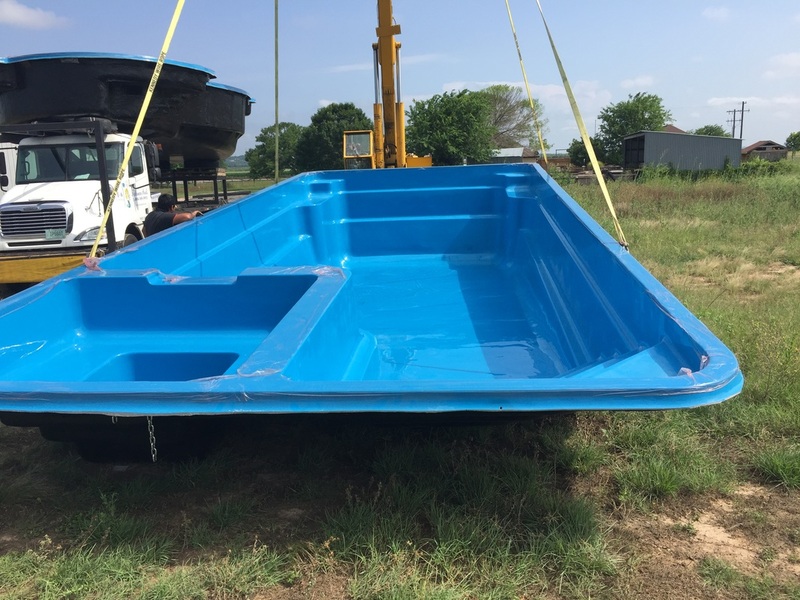 This allows Ace Fiberglass pools to sell to you for less while maintaining our commitment to quality and experience in your pool installation! 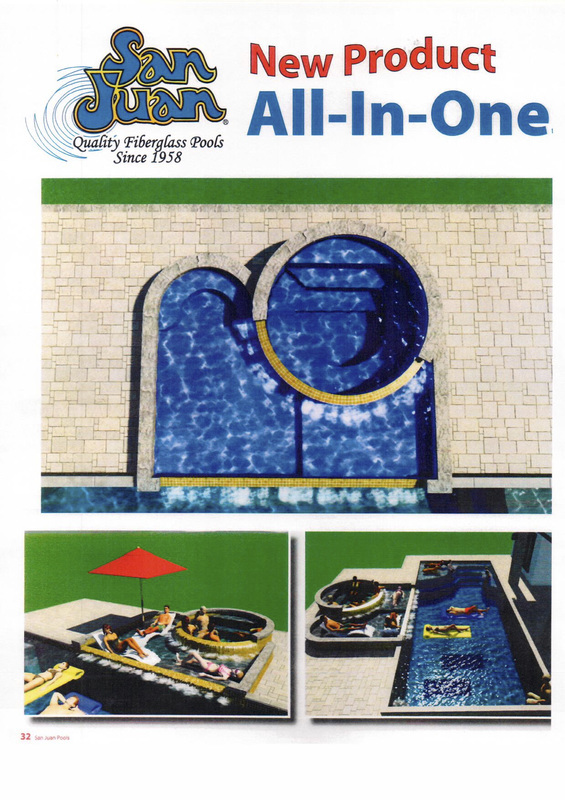 Although we may be relatively new to sales we have a long history of installation with the oldest pool manufacturers in the country! 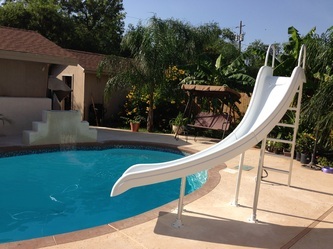 In addition we now offer over 150 models, sizes, shapes, and colors joined together with great service, warranty and value. 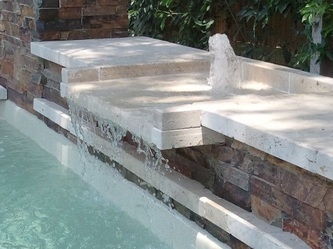 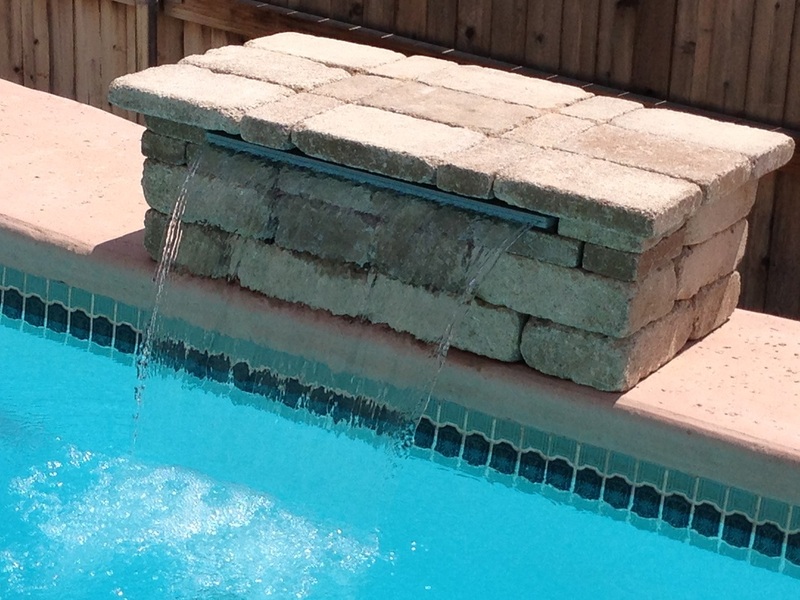 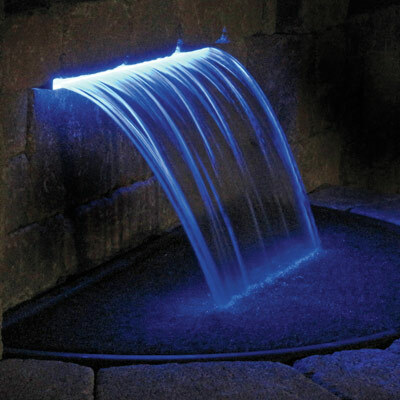 We design and build custom water, fire and cascade fall features as well! 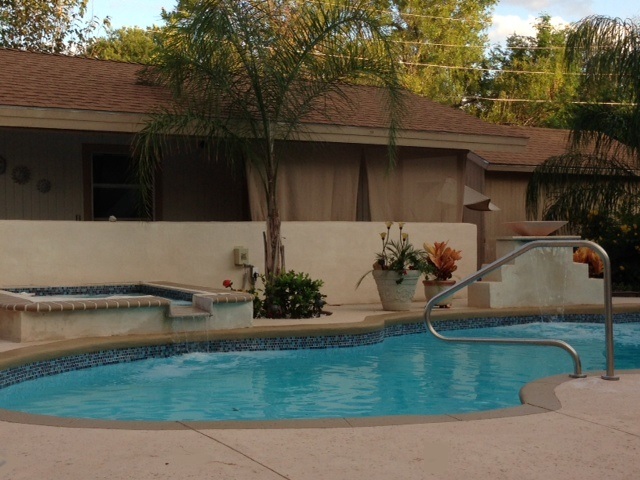 We thank you in advance for the opportunity to serve you! 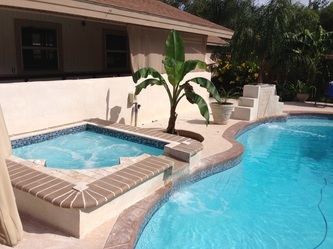 So feel free to contact us or visit us our at our showroom! 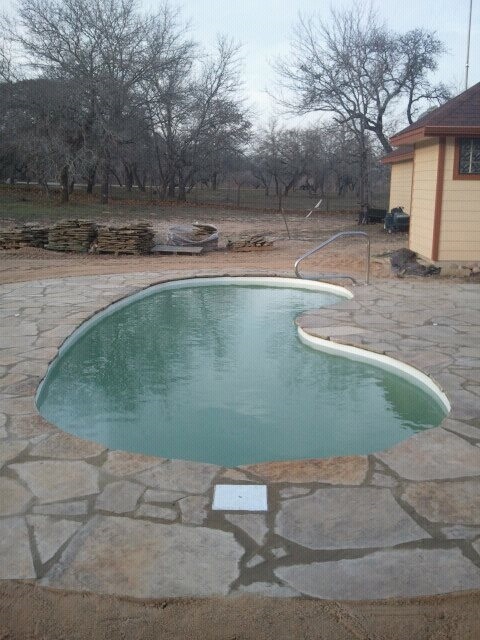 One Investment Worth Every Cent!
" PLEASURE ISLAND" it is well know as the Ultimate Entertaining Pool in the Fiberglass word! 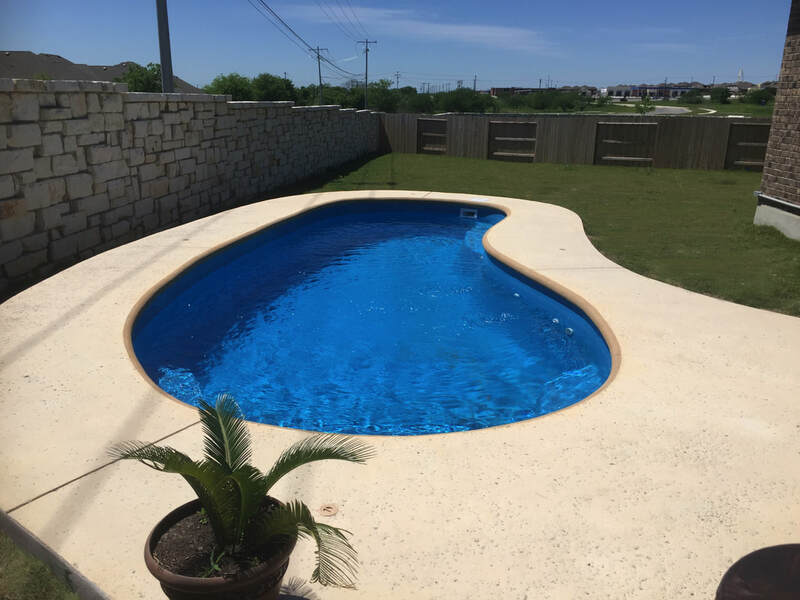 Featuring a huge spa that seats 8 and swim up barstools with a travertine counter top alone sets it ahead of the rest, add a tanning deck for two and still plenty of area to swim explains what makes this pool so desirable! 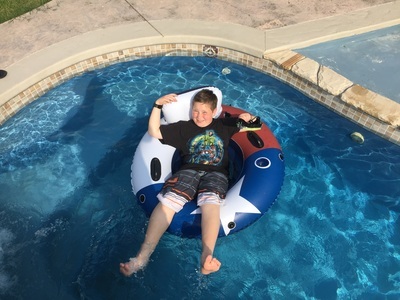 Testimonials / Referrals Check out our "TESTIMONIAL PAGE"
Robin Nicolai's Photos By Robin Nicolai Just wanted to give a big thank you to Brian and his crew for the beautiful pool! 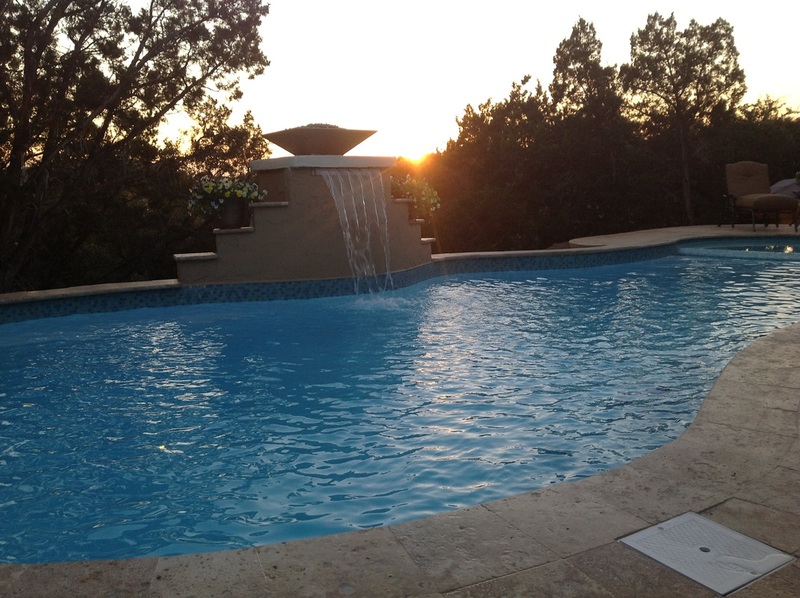 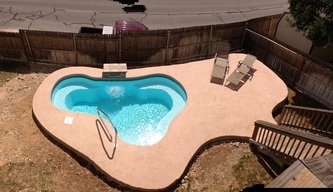 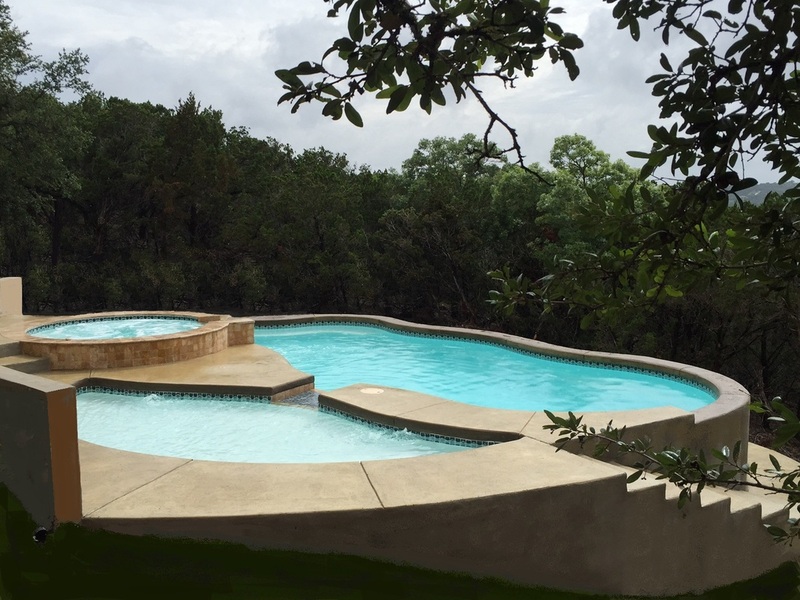 We had a wonderful experience having the pool installed and it came out beautiful! 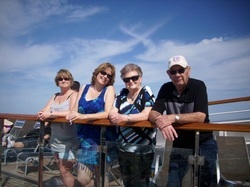 They were very professional, easy to deal with, and just a great group of Christian people! 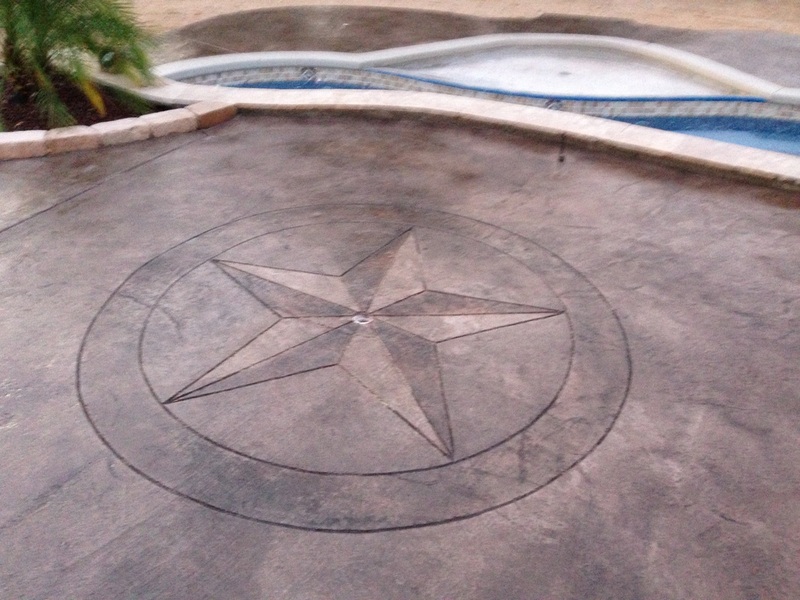 Thanks also to Chris for the awesome concrete work! I would highly recommend Ace Fiberglass Pools if anyone is considering an in-ground pool! 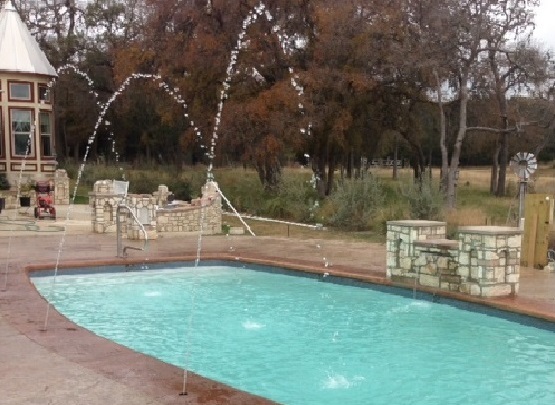 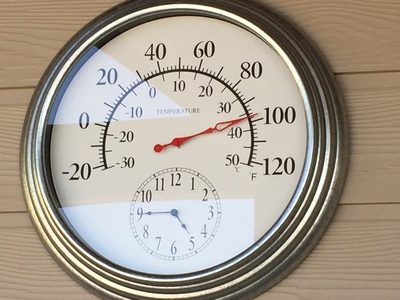 To me, the very best thing about Texas are the winters! 75 degrees today. 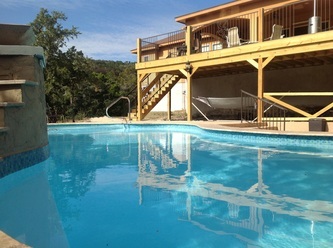 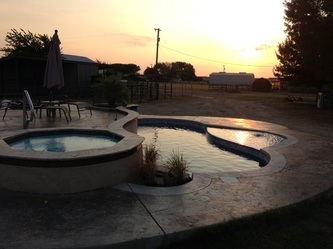 But this year, I cannot wait for summer, hanging out by our new pool! — with Ace Fiberglass Pools. 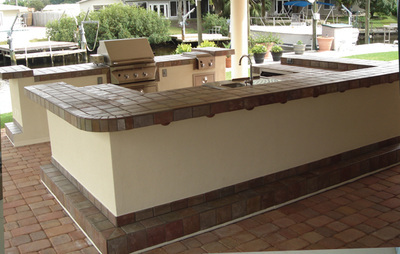 Brick Cope the traditional look! 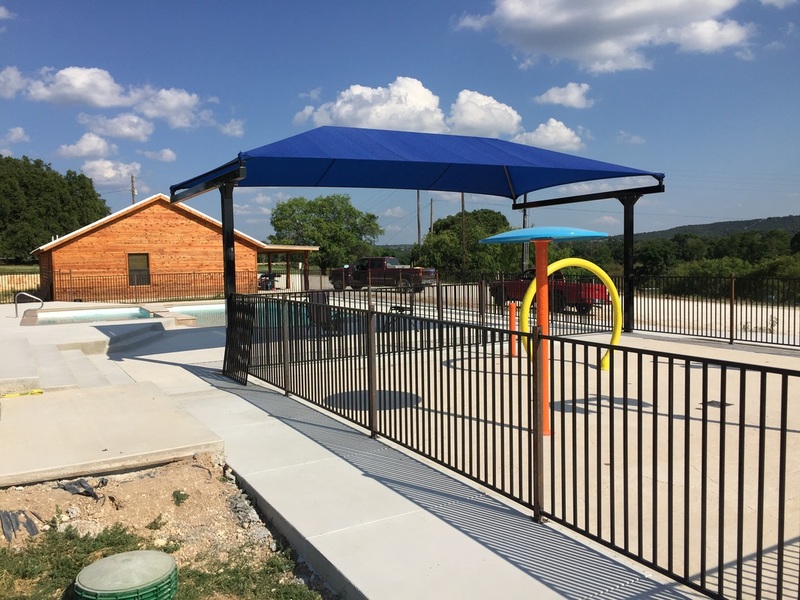 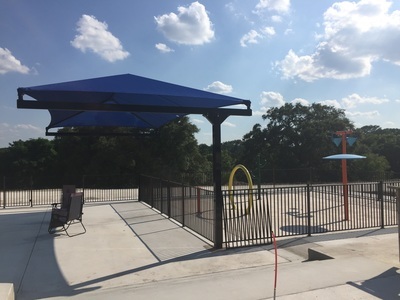 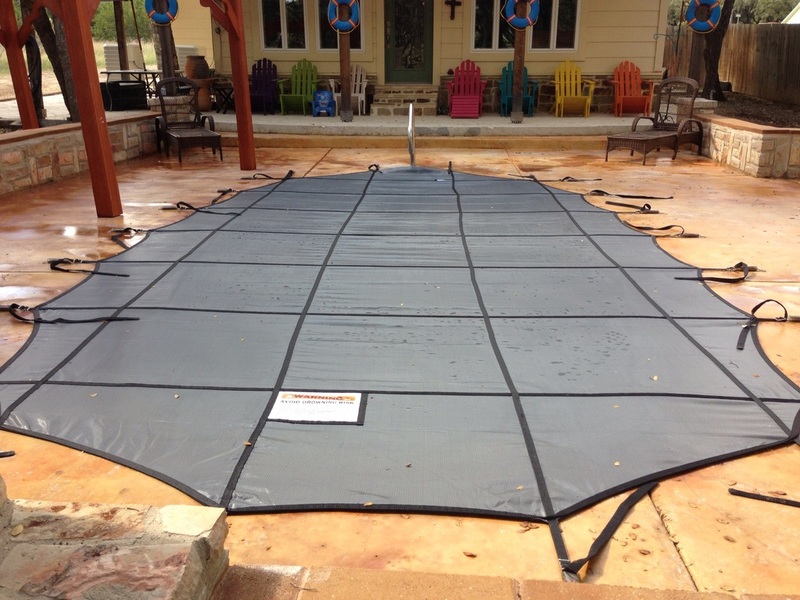 We Offer an array of Custom Pool Covers to suit individual needs and budgets! 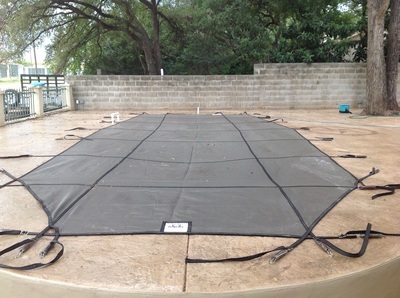 Our covers are not just designed to keep your pool clean in its down time but act as a safety net as well! Custom Concrete walkways and Patios accent your back yard into a luxury resort! 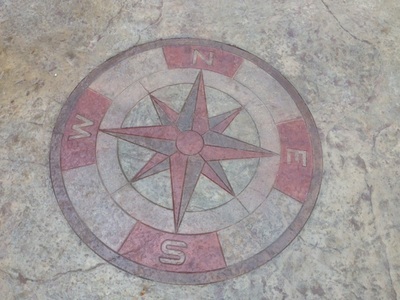 There are many designs and colors to chose from that will fit the style you are looking for, all done by our own crews. 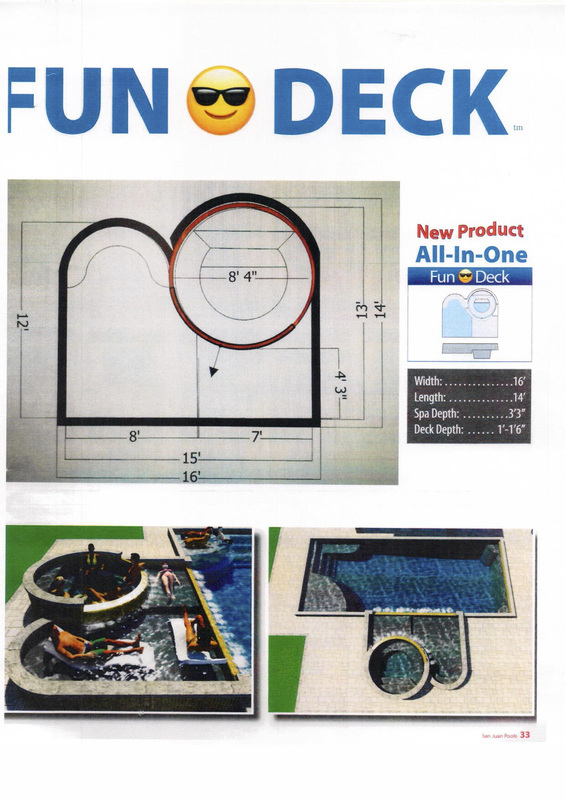 We Now are a dealer for Splash Pads ! 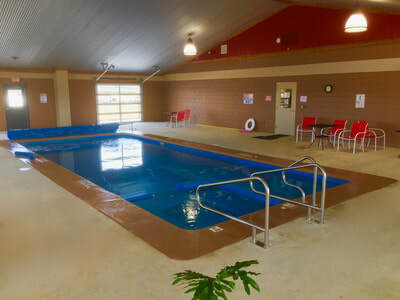 Check out our Sister Site Just click below! 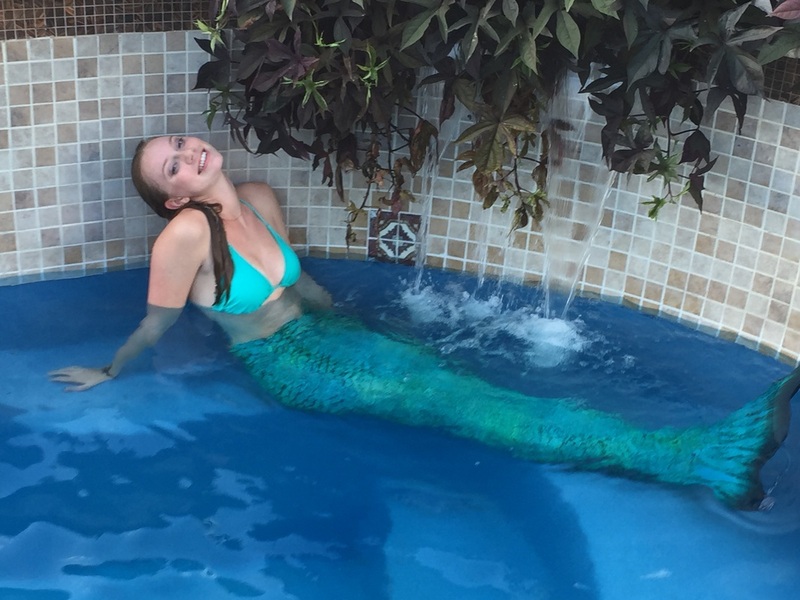 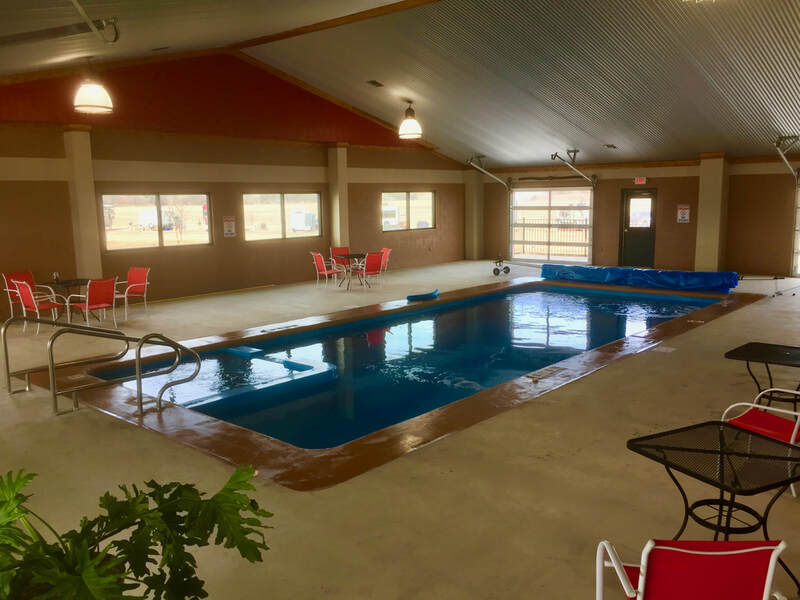 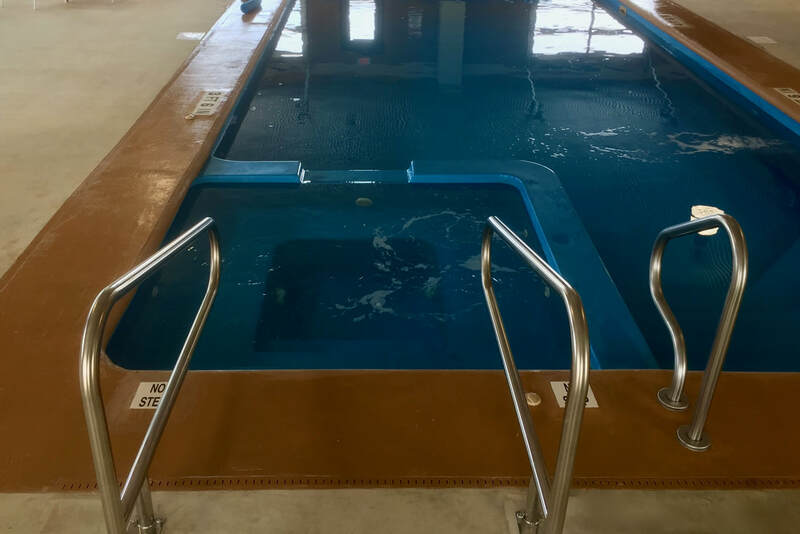 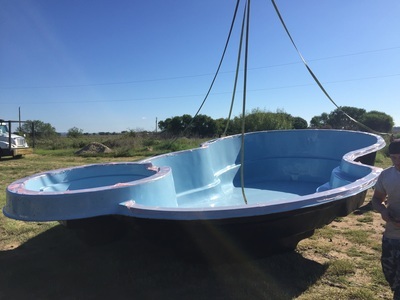 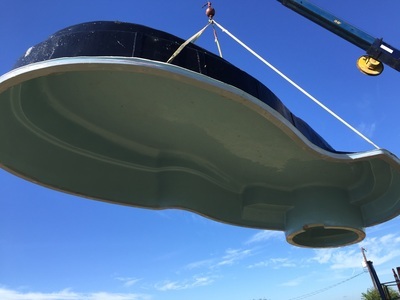 Some Fiberglass Pools have had a certain amount of negative response, we would like to clear up some misconceptions that people believe are to be fact. 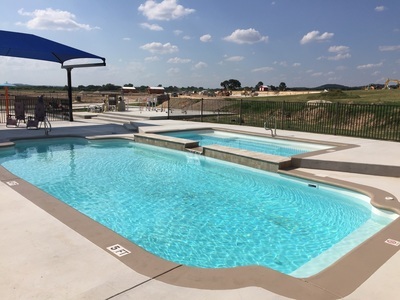 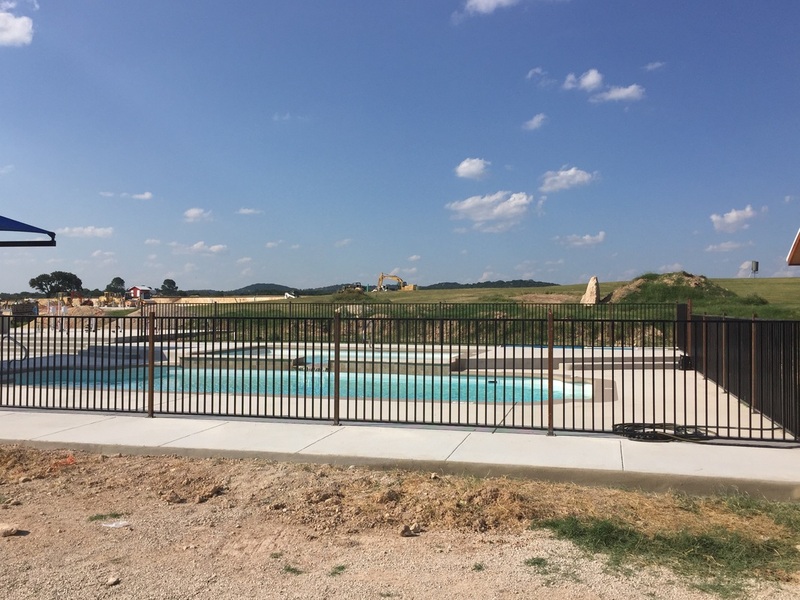 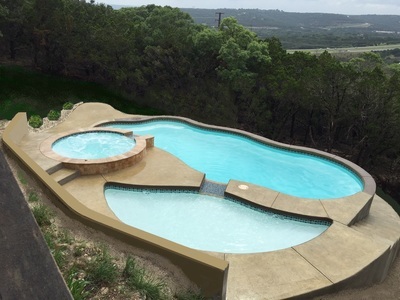 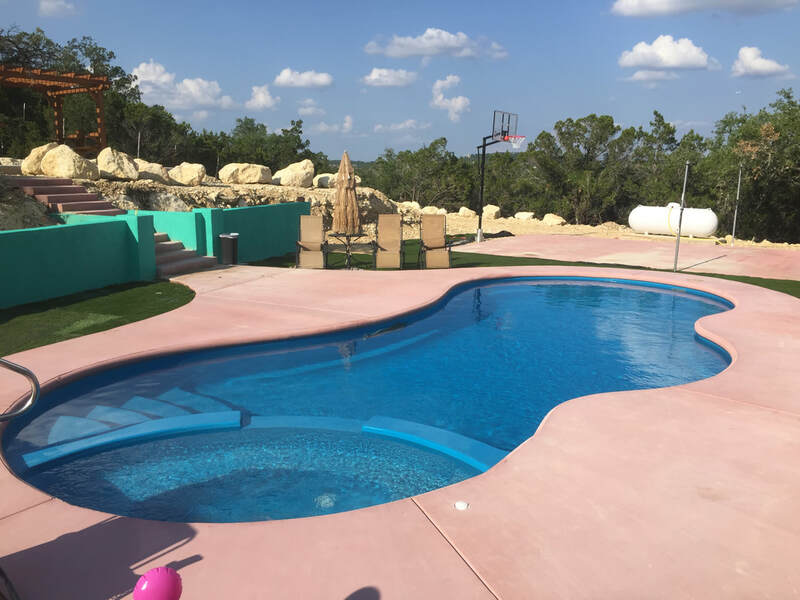 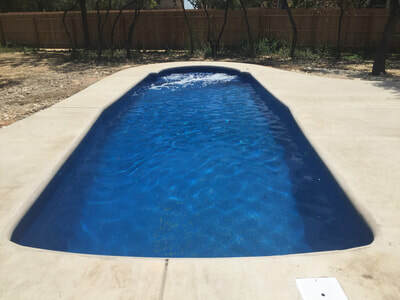 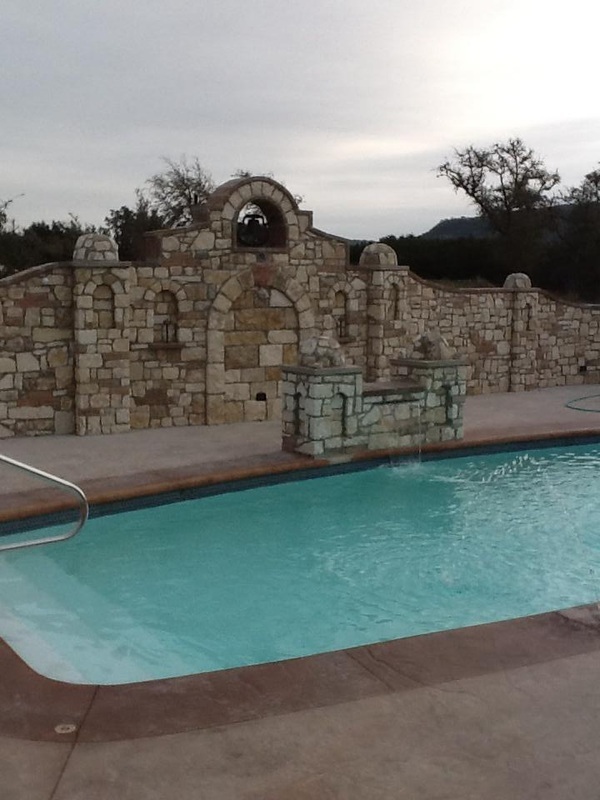 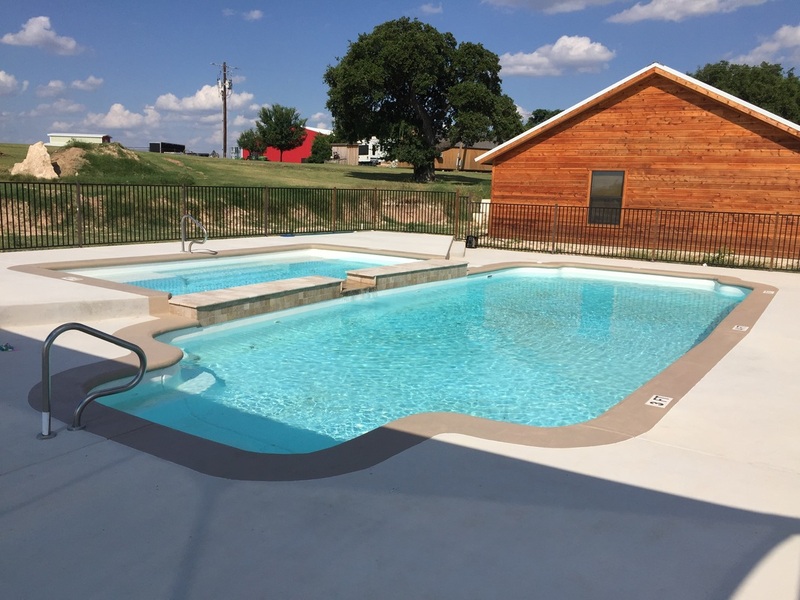 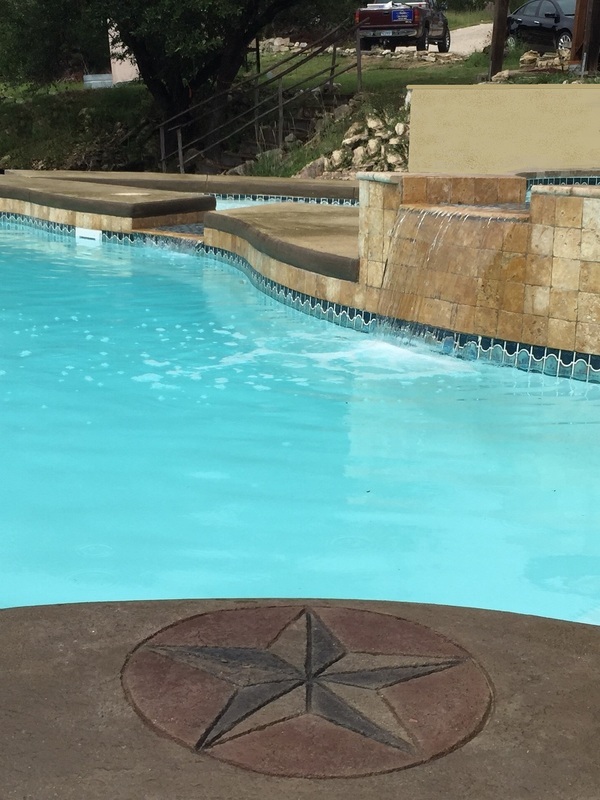 Fact is there are many more issues with Vinyl, Gunite and Concrete than fiberglass pools, but the simple fact is there are more fiberglass pools in the ground then all the three alternatives. 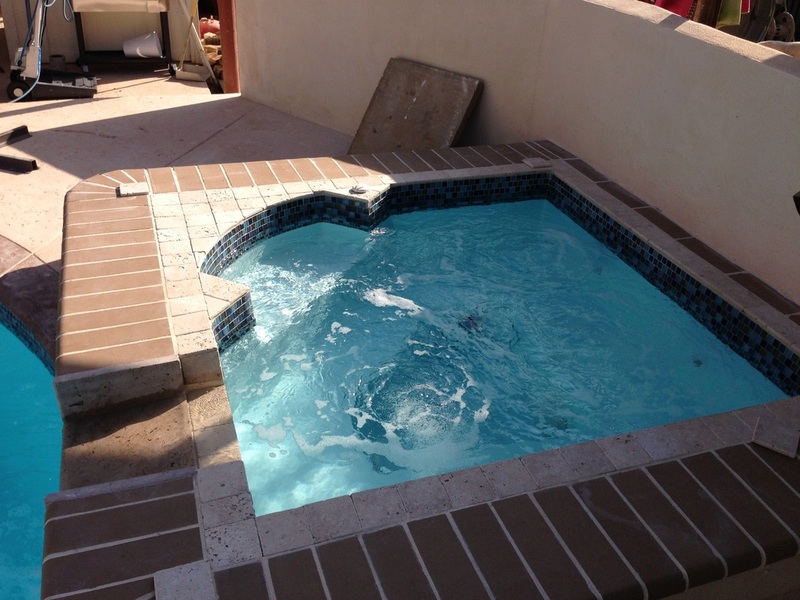 Unfortunately that is not the reason for the negative issues with Fiberglass Pools! 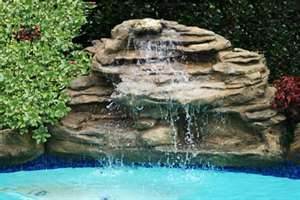 Like so many businesses out there today the are good and bad. 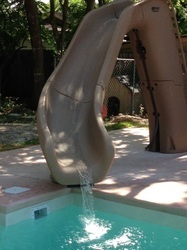 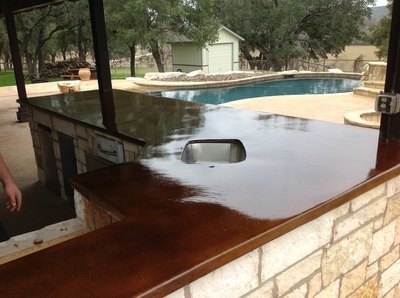 Fiberglass Pool Manufacturers are not any different some do it right and others cut corners to save a buck. 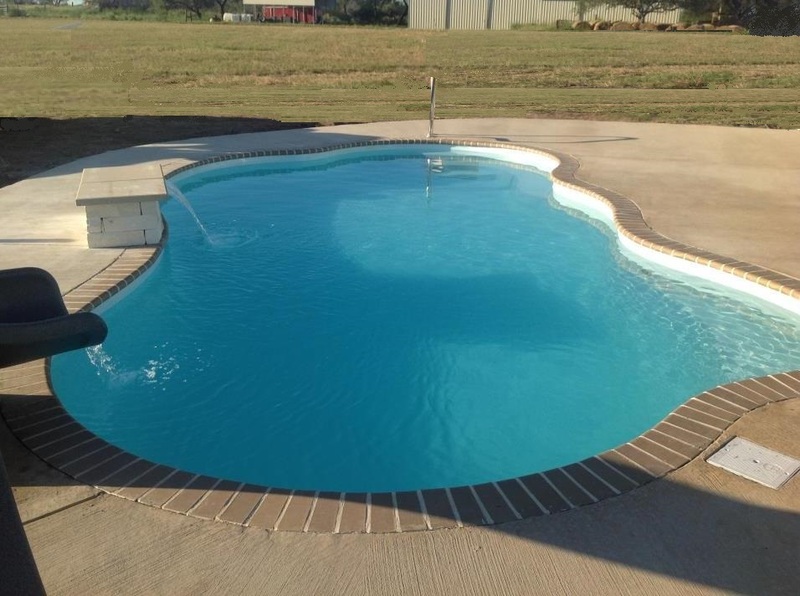 Same with the dealer that sells you your pool and the Installer that installs your pool. 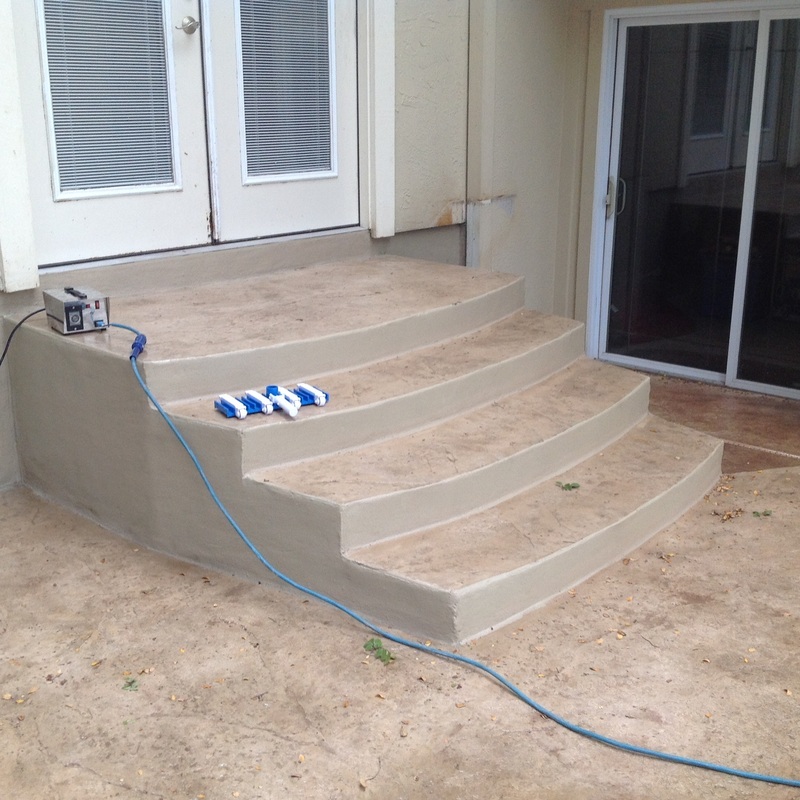 Honestly you can have a great manufacturer and a poor installer and that can be a disaster as well. So how do you know you have a great Dealer, Manufacturer and Installer, its easier than you think! 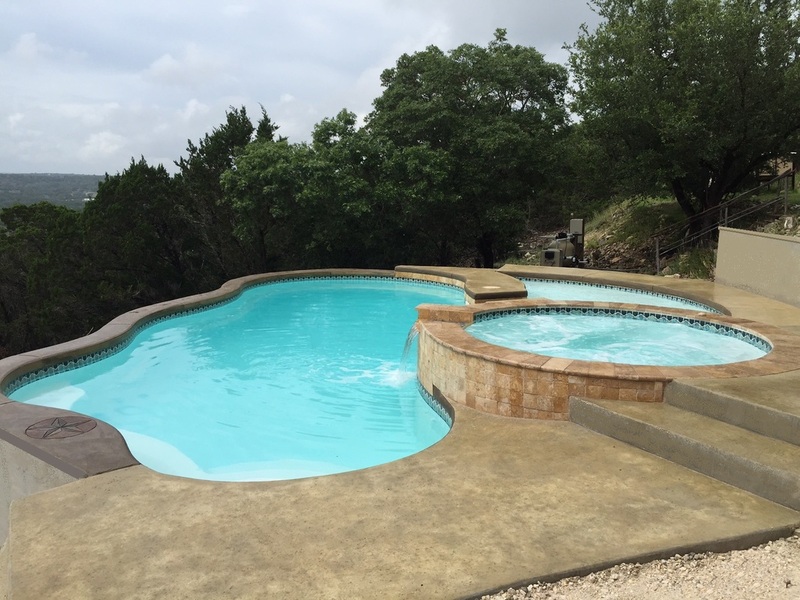 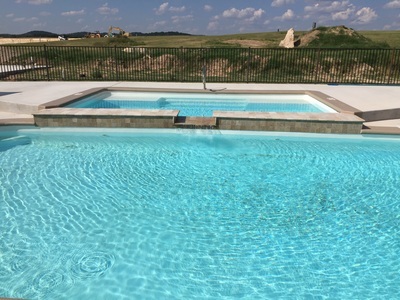 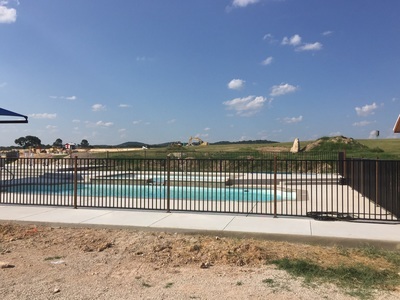 ACE Fiberglass Pools, a well established, local, Family owned and operated Company with many years of experience in Designing, Excavation and Building of high end projects with a reputation of integrity! We only use the highest quality 100 % Genuine Fiberglass Pools made in the world ! so you can make a educated decision on you pool project. 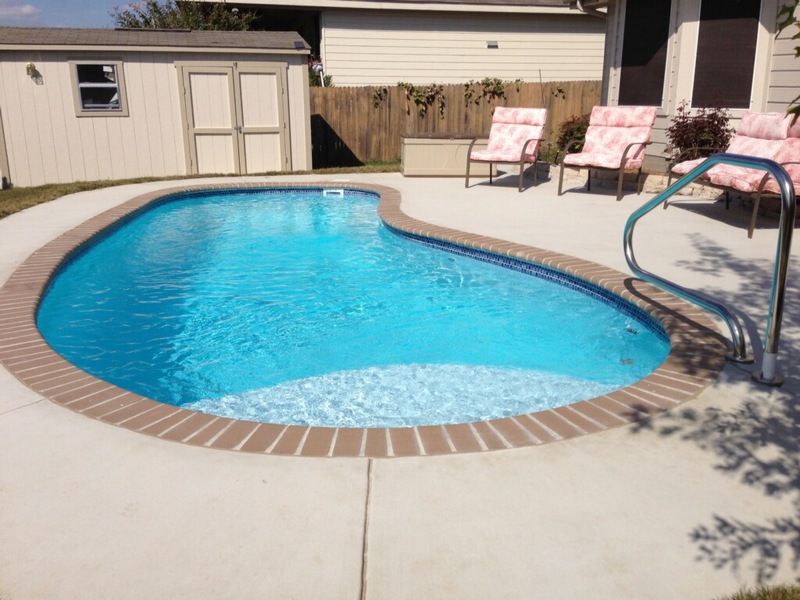 We believe that you will find why so many customers are calling our fiberglass pools the Smart Pool!